Thanks very much for highlighting MG books, as my first tween book, Summer of the Eagles, is coming out very soon! I just followed you all over the MMGM blogs, Natalie. Awesome post. Middle grade books offer readers so much! I much prefer them over YA. That (and teaching tweens) is what started me writing them. I'll tune in again next MMGM! I've been reading a few middle grade books lately (just finished Locomotion by Jacqueline Woodson). I don't normally review books on my blog, but I do review books on Goodreads and often give them a shout out on Facebook. My son rarely reads MG anymore, but my daughter still does. They're a refreshing break from the love triangles and love angst of YA. Once in a while, if a book really strikes me, I do review it on my blog. I did so several months ago for The Healing Spell and Circle of Secrets. I've also done it for Touch Blue and Rules. I'd like the Wood Queen (if I win). I love middle grade books--I've been trying to write one, so I've been reading a lot of them. One thing I like is that, without the distractions of romance in YA (although I love a good romance), MG books are often able to develop deeper friendship themes than YA. I also occasionally review MG books on my blog (and on goodreads). Some good ones I've read recently include Tess Hilmo's With a Name like Love, Jessica Day George's Tuesdays at the Castle, and Elise Broach's Shakespeare's Secrets (not a new release, but a fun read). Hi Natalie! It seems like the middle-grade blogs are really growing - the MMGMs list is much longer than when I began following it last year. My daughter is 10 so I'm having a blast sharing these books with her. Kids seem to be reading the upper middle-grade books much younger though. Harry Potter/Lightning Thief books are frequently read by 3rd/4th graders at my daughter's school. And 4th/5th graders are already venturing into YA. It's a struggle for me to let her read some of the books she chooses - they're at her reading level, but content might not be appropriate, or I know she would better appreciate it/get more out of it is she was older. Right now I'm hearing of lots of 5th graders reading The Hunger Games which I never would have imagined. I'll take any book WHEN I win! :) I love MG books, especially since my kids are at that age right now. Shannon Hale's my favorite (Princess Academy 2 comes out this year-yay) I do find it very hard to write in a middle grade voice, though. ilimatodd at gmail dot com. I've been promoting MG and Upper MG books on Mondays for MMGM. Books that you read during those ages are so influential - they stick with your for the rest of your life! 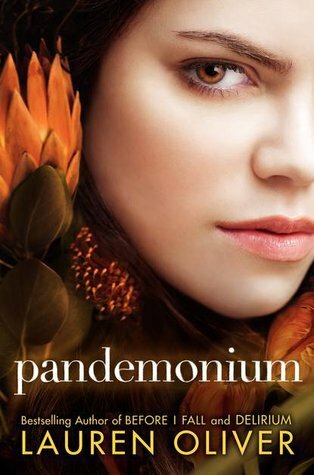 As for YA - I can't wait to read Pandemonium! Send it my way if my post makes it. Anyway, thanks for this giveaway! I'd love either The Wood Queen or Pandemonium. I absolutely love MG books. They are so refreshing. When I'm only reading these serious dystopians, a MG book just breaks up the monotony. One of my favorites from last year is Liesl and Po by Lauren Oliver. Just phenomenal! I would like The Pledge. This is a book I've been wanting to read for awhile but haven't yet gotten my hands on. I do read middle grade, in fact in many ways I prefer middle grade and not just because I work in an elementary school. I highlight a lot of middle grade on my blog (http://geolibrarian.blogspot.com) as well. I did mention your giveaway on my blog. Yay for MG books! I've got a few little MG readers coming up, so I do help promote them as much as asked. As for the book giveaway... well, I haven't read some of the firsts for a few of these (aren't they series books? ), but of all, TRUTH looks the most interesting. As you know, I love MG! It's my preferred reading even as an adult because I love the way they present that everything is possible--not that everything is happy, but that everything has a chance. I promote MG regularly, as you also know. I would be thrilled with any of these giveaways. I want one of each of those books! I think I would choose The Wood Queen. I read MG books and I really like them. However, I haven't reviewed/promoted any on my blog because I focus mainly on LDS fiction. I enjoy MG- and it's a good thing- with 4 elementary age kids (or nearly elem. age in the case of my upcoming kindergartener,) we read a lot of MG. I loved the Boneshaker by Kate Milford and so did my 5th grader. 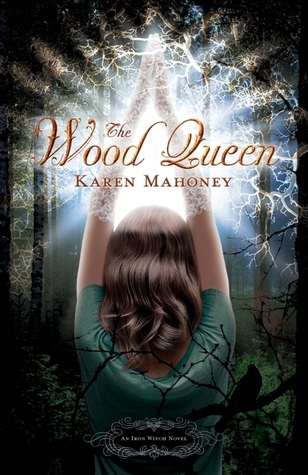 As for the YA titles, I'm going to go with the crowd here and say "The Wood Queen." Thanks! I would love to win a copy of the Pledge. If the upper middle grade book had crossover quality to it, then yes, I would definitely promote it. I'm a YA and an adult reader, but more focused on YA right now. The problem I have with some MG is that it is too simple for me at this stage in my life. But Harry Potter is a great example of a book that has a lot of crossover appeal. While it is an easy read, the story is quite complex, and it keeps getting more intricate as the series goes along. I think I would prefer a MG series that I could "grow" with as the characters grow up... if that makes sense? Am a follower and would love to win Pandemonium. I definitely enjoy MG. I haven't promoted it on my blog as of yet, but will try to. Finally, I posted a link to this contest from my FB account. :) Thanks! Oh, and my email is brbaby1113@gmail.com! Yes I totally recommend MG books Harry Potter is the first book I recommend to anybody young or old! I do read and recommend MG books. They are fun and refreshing to read! I'd have to choose Pandemonium! Also, I do try to read and promote MG books, especially because I know how difficult it can be for MG authors. I do focus more heavily on YA, but I have featured a decent amount of MG books in the past, including the first two books of the Percy Jackson series, Middleworld by Jon & Pam Voelkel, and Priscilla the Great by Sybil Nelson). I also try to feature books that fall into that YA/MG crossover area (like The Outsiders by S.E. Hinton). Going through my book reviews list though, I should probably try to feature more MG books in the future. I have quite a few on my shelf that I could definitely use, though a lot of them are older titles. Great topic, Natalie, and thanks for the giveaway! I'd love to win The Wood Queen. I definitely promote upper middle grade books because they rock. It's a little haywire by Elle Strauss is one of my new favorites that I've been raving about to everyone. Wow! Those are great books - any of them would be great to own! I love MG books - I teach grade 6 so I kind of have too :) I've been doing some Marvelous Middle Grade Mondays with Shannon Messenger - she does a great job! I only started reading YA when I got my Kindle Fire last year. It's a really cool genre. I haven't ventured into middle grade. I'm not saying I'll never go there, just that I haven't been there yet. I would really love to win Pandemonium. So far Lauren Oliver has done really good as a writer. She has a strong voice, and her work isn't like any other YA book. I actually have several books to reccomend. 1. Jane by April Linder. It is a modern day telling of Jane Eyre. I really loved it. Although it is geared more toward the mature upper teens. 2. Glow by Amy Kathleen Ryan. I am currently reading it and I find it soooo good. You only asked for one so I guess I'll stop but oh my word I can't resist but give one more. 3. The Statistical Probability of Love At First Sight by Stacey Jay. I haven't read it yet, but it's one of those books where you just know that it's going to be amazing! Hi. I'm a GFC follower: Amy S. Thanks for the giveaway. I would love to win The Pledge; it sounds so good! I actually do like to read some middle grade novels. I'm a high school librarian, and even though we start in grade 9, we have a lot of books that are technically middle grade level, which the high schoolers read just for fun. Just this weekend I read Eighth Grade Bites by Heather Brewer. It is the series The Chronicles of Vladimir Tod. It only had around 175 pages and was a great read. It had a male protagonist, which was nice. I actually convinced a "reluctant reader" (who admitted he didn't like to read but his teacher was making him get a book) to check out this book. Hopefully he will like it. Other popular middle grade series we have are the Maximum Ride books by James Patterson and Alex Rider books by Anthony Horowitz. The high school boys seem to enjoy these books a lot, even though we have plenty of YA books too. I think it is nice to have a wide range of books available. You never know which book series might start a student reading. I would love to win either The Pledge or Pandemonium. My daughter is reading early chapter books. Every night she reads to me. And I'm reading Posion Apple books to her. They are a tween paranormal series from Scholastic books. They're really good. Thanks for the giveaway! There are a couple books I'd love to read on your list, but I'll say The Pledge. I'm following GFC as Gabi. If I win I would like The Pledge or Pandemonium. I would love to win The Wood Queen, please. I haven't read a ton of middle grade books yet, but now that my daughter is advancing towards that age (much to my disappointment, I feel old lol), I will be reading them a lot more. I would love to read THE WOOD QUEEN thank you. My daughter is of an age for Upper Middle Grade Reading. We certainly do all we can. I love YA books so much! :D Recently I'm reading only those books. If I win I would like Pandemonium by Lauren Oliver. I finished reading Delirium yesterday, and it was amazing! Yes, I promote upper middle-grade books! I think they're so many of them which make young people to read, it's amazing! I've read many of them myself. I would love to win a copy of Pandemonium. I definitely have and continue to promote YA books. I introduced my daughter to Harry Potter, The Hunger Games, and The Maze Runner. She continues to listen to me because she has liked all of these! 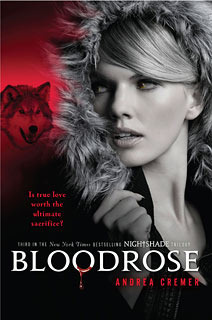 I would love to win either Blood Rose or Pandemonium. As an elementary school librarian and daughter of a avid reading middle grader, I read a lot of upper middle grade. One of my favorite series is Peter and the Star Catchers. Of the YA choices . . . they all look great. If I have to pick one, I'd say Pandemonium because I love Lauren Oliver. Hey Natalie and Casey! Just stopping by to say thank you for all you do to promote middle grade authors. It's because of blogs like yours and the other MMGMers that I think MG is beginning to get more online attention. Hello, thanks for the great giveaway. I would love to read The Pledge. I do review and promote middle grade books on my blog, both upper and middle, middle grade. I love many of these books for their great writing and exciting adventure. I also read a lot to my kids and get to see their reactions to fun books. Hey! Thanks for the awesome giveaway! I love that you are trying to promote middle grade authors (MG and YA are by far my favorite kind of books to read...and that's pretty much all I do read, actually). I don't have a blog where I review books yet, but I'm thinking of starting one and If I do, I would definitely do reviews for MG books! It's kind of hard to choose which book I want the most, but I would probably have to go with Pandemonium by Lauren Oliver. Oh my oh my...Pandemonium would be my choice of YA. And yes on promoting MG. I _love_ middle grade and a good portion of my career has been reading and promoting it to kids in schools and libraries. And I'm an old follower. And sure! (answering your question, lol) ;) My son reads a LOT of MG too! Thanks for highlighting MG. I'm struggling with how to get word out about my MG. I'll check out the links you gave. Thanks for the chance! I would like to win The Pledge. I have only read a couple MG books. But I would totally promote any that I read and enjoyed. Anyway that gets the word out. I love to read mg novels. They are so much fun and full of creativity. The Nightshade City books are some of my favorites. First off, thanks for the awesome giveaway! I'd love to win Pandemonium by Lauren Oliver! I'll be honest when I say that I don't read middle grade books as much as I used to, but that doesn't mean I don't still love them! If a MG book sounds interesting enough, I'd definitely read it. I've been meaning to get around to Rick Riordan's books. I would love to win The Wood Queen or Pandemonium. I totally blog about MS books as well as YA books. I love the genera and that is the age of one of my children. Since I try to read most of what they read, it's a natural place for me to be reading. I've read the lower MG, but not for a while. I have enough of a hard time keeping up with the YA reads I have--since I write YA, that's where I focus. However, I don't mind reading the upper end of MG because a lot of them read like YA. 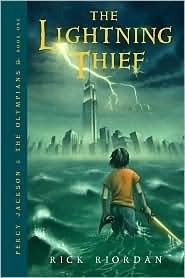 I've been wanting to read THE LIGHTNING THIEF but haven't yet! I've read some lower MG (Harry Potter mostly) but I'm always willing to give upper MG a shot too. I just haven't had the time to check any out lately. Thanks for the giveaway! I would love to win The Wood Queen! Great post Natalie! Thank you so much for mentioning both Mundie Moms and my March Middle Grade Madness on Mundie Kids! :) You're support for MG books is amazing as well. I'd love to win Pledge! I occasionally read middle grade books, but I'm more into YA and adult books. Thank you for the giveaway. I would love to win The Pledge. I'm not a big dystopian reader but The Pledge sounds so amazing and unique, definitely a book I need to read. I stick with YA but I will always love Harry Potter. I actually never thought of it as Middle Grade, the series is just so completely amazing that anyone can enjoy it. I firmly believe everyone needs to read Harry Potter it's just that good. I also tweeted this giveaway. I follow several bloggers who do a Middle Grade Monday feature every week. MG, YA - I love 'em all! I do read MG books. My favourite Dystopia is actually a MG, The Giver. I do not promote MG though. I don't promote any book...>__> eeep. I would pick the wood queen. I do read some MG books such as Percy Jackson and of course Harry Potter. Thank you for this giveaway! As for the giveaway..... I'd love The Pledge!!! I'd love to win The Pledge! I do promote upper middle grade books, and I would choose either Pandemonium or Truth. I follow by email. I do like middle grade books. I would pick The Pledge. Thanks for the giveaway! I would love to read TRUTH if I win. I've been promoting MG books on my blog since last year and loving it. Not stopping any time soon. Thank you so much for this giveaway! I follow you as infalliblyyours or Munnaza on GFC and via email (infalliblyyours@gmail.com_. I'd love to win Pandemonium. Delirium was my favorite book of last year, so I've been eagerly awaiting its sequel's release. If a story is exciting, intriguing, and well written, I read it regardless of its audience classification. So this makes me a huge Harry Potter fan (granted, I've loved Harry Potter since I was eleven), but also a huge Percy Jackson and Inkheart fan. If there's an awesome upper middle grade book I haven't read, it's because I didn't hear about it. I think that's a significant reason why readers of young adult don't give many upper MG books a chance. If the subject matter isn't too immature for them (and it isn't in most MG fantasies), then it's because there wasn't enough buzz for people who don't stalk MG titles regularly to hear about it. I would love to win The Pledge. I've heard amazing things about it! Harry Potter is a great middle grade book series! 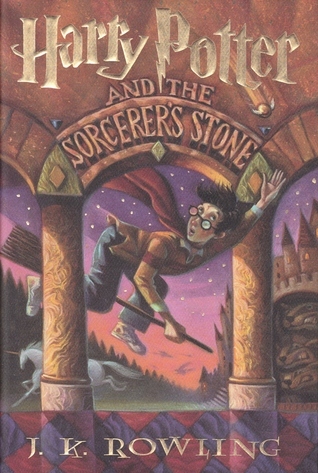 I loved reading it all through middle school, and I still love it to this day! If I win, I would either choose The Pledge, or Pandemonium. I think it depends on the book and the level. Middle grade books are fun to read, and mostly everyone enjoys them. I'm 13 (in middle school) and I love reading YA and middle school books. I prefer YA books because it's a bit more advanced and has more info and deets in it. While the MS books are fun and easy to enjoy, it feels like I'm reading at a lower level and not pushing myself to read better. Well, I would say I would promote MS books because everyone (MS and up) can understand it fairly simply and they're all very interesting. Thanks for the giveaway. I would choose The Pledge. My email is christy_n_jesse12@yahoo.com. I would choose Pandemonium. I have not read any middle grade books but it is largely because I do not look at them. If one struck me as interesting I would give it a try. I would choose Pandemonium. I actually just won a middle grade book that I'm really excited to read! So, I guess I will be promoting them!! I'd love to play for Pandemonium please. Yes, I read MG books that have an interesting premise. I would love to win Pandemonium or the pledge. I read MG books if they look really interesting, or if I think the two awesome kids I babysit might enjoy hearing me read them.